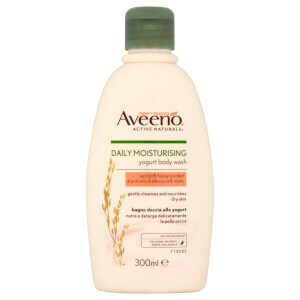 Replenish dry skin with Aveeno's Daily Moisturising Lotion; an ultra-hydrating formula that absorbs quickly into skin to soften and condition without greasy residue. 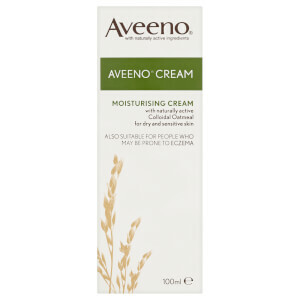 Utilising naturally active Colloidal Oatmeal (the brand's signature ingredient), the lightweight lotion delivers long-lasting moisture and hydration, whilst soothing and protecting sensitive skin from top to toe. The body feels smooth, supple and comfortable after use. [FPT-0574] Aqua, Glycerin, Distearyldimonium Chloride, Isopropyl Palmitate, Paraffinum Liquidum, Cetyl Alcohol, Dimethicone, Avena Sativa (Oat) Kernel Flour, Paraffin, Cera Microcristallina, Stearyl Alcohol, Myristyl Alcohol, Benzyl Alcohol, Sodium Chloride. 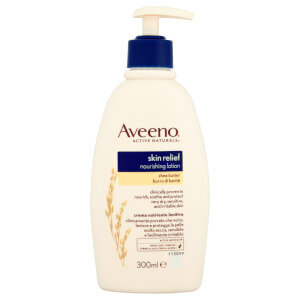 25% off Aveeno. Discount has been applied to the RRP. Offer valid for a limited time only. 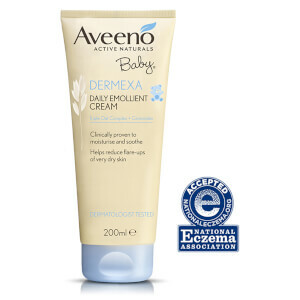 I can't say enough good things about Aveeno and especially this moisturizer.I'm not sure if it can be used on the face but that's where I've been using it mostly.I've been using it for years.I have dry/combination/sensitive skin.It dries quickly,has a matte finish and it's super moisturizing. It's great, love it. I also use it on my face. It makes skin so soft, smooth and moisturized, but not greasy. I'll purchase again.